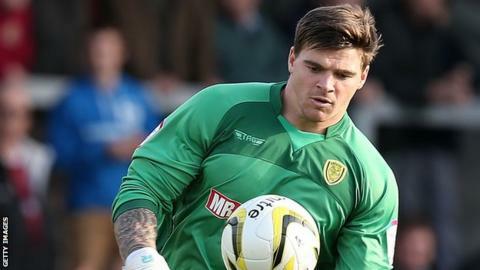 Burton Albion have extended the contract of goalkeeper Stuart Tomlinson until the summer of 2014. The 27-year-old has made 15 appearances since signing a short-term deal in September and recently returned to action after three months out with a knee injury. "I'm a big fan of the way he trains, plays and his character," Burton boss Gary Rowett told BBC Radio Derby. "You'd be hard pushed to find anyone more suited to League Two football."